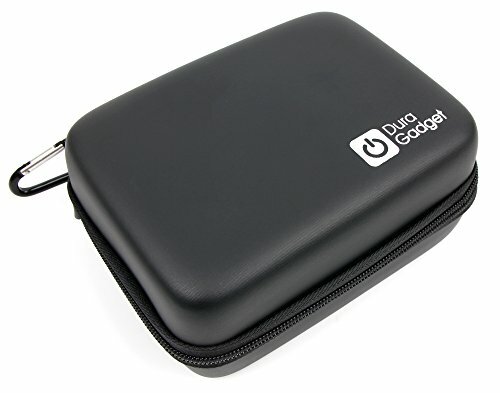 When it comes to releasing accessories for your personal computer, Logitech are one of the few brands that cover the entire spectrum. Their latest range of gaming mice has made a brazen attempt to cater for the first person shooter crowd, claiming to have the fastest response time and adjustable accuracy dependant on the game in question. The Logitech G402 Hyperion gaming mouse will be put through its paces, so we can determine whether it is worth paying the recommended retail price of £49.99. After opening the box, the mouse and instructions came free with very little difficulty. This was a nice surprise, as some hardware I have unwrapped from similar companies required that you make irreparable changes to the box. No software is included with the mouse, but I only needed to plug into the nearest USB port to obtain basic functionality. A leaflet inside the box told me where to obtain the customisation software via the internet, where upon it automatically detected my operating system and to my pleasant surprise, did not require a reboot to allow me to proceed. 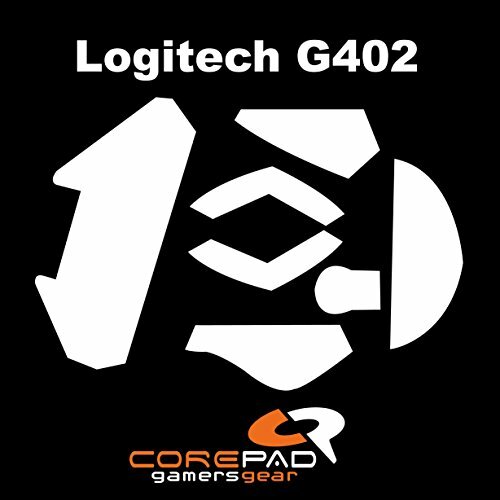 The Logitech G402 Hyperion is made of matte light grey plastic, with some components being made of the same piano black material as found on similar hardware like you would see on the PlayStation 3 for example. Appearance wise, it is flat and round, with an indent on the left hand side to rest your thumb. With this is mind, this model is almost certainly designed with the right handed gamer in mind. As a gamer with larger hands, I was concerned that it would be awkward to hold, but my fears were abated when I gave it a test drive. Despite its slim physique, the G402 was a perfect fit and did not cause me to sweat whilst using it. All eight of the buttons felt solid to the touch, and no effort was needed to access any of the additional keys, nor did I press any of them by accident, which is a relief for anyone who does not use them on a regular basis. 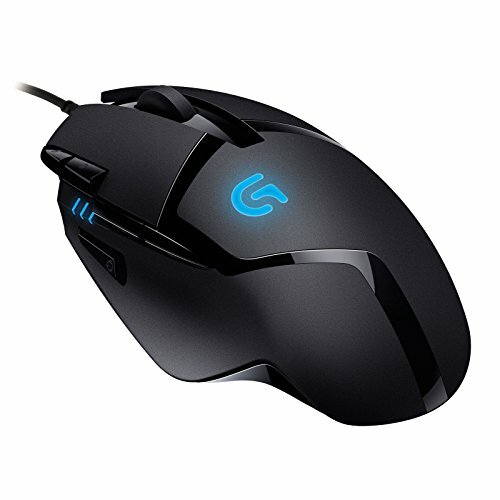 The mouse has a 7 foot lead that is made of the same plastic as the scroll wheel, and feels smooth to the touch, so it will not get snagged on your additional equipment. The G402 is well made, with no visible design flaws that would impede a FPS gamer, such as unnecessary pieces of plastic to improve the aesthetic. The G symbol that uses an LED light is a unique touch, with the possibility to change the frequency and brightness of its flash effect, or it can be switched off in a matter of clicks. As it is specifically marketed at the gaming community, Logitech have included Fusion Engine technology, which allows the movement of the G402 almost instantly, as long as it does not travel more than 500 inches in a second. In practice, this technology vastly improved my productivity during gameplay to a point where I do not know if I could go back to using my regular mouse. Two of the eight mouse buttons are reserved for changing the dots per inch settings, which alter the level of precision between four different settings. When I tested it with BioShock Infinite, Half Life 2 and The Walking Dead, the lower two settings didn’t show much of an improvement when I moved around the game world. When I increased it to the highest possible option however, the speed made the gameplay more enjoyable, and my shots on target were a lot easier to obtain. The Profiles make it easy to choose controls for every type of game. 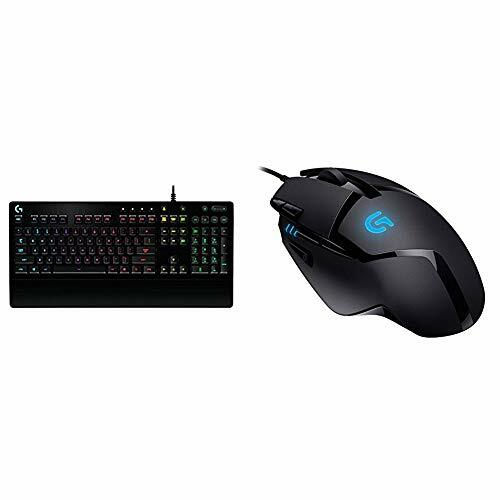 Once you have installed the Logitech Gaming Software, which can be found on the product page of the G402 on the official website, it is incredibly easy to reprogram any of the eight buttons found on the mouse to perform specific actions. When you initially boot, you will be asked if you want to use the settings built into the mouse, or whether you would like to use the computer provided alternative. This is especially useful if you take the mouse round to another computer, because it is possible to overwrite the mouse’s in-built memory to suit your individual needs. As well as choosing your own settings, it is possible to choose from a list of pre-programmed profiles that are specifically designed for individual games, such as Age of Empires and The Sims 2. For the most part, these customised options seemed quite intuitive. The only problems I found with this feature were that the pre-programmed list seems fairly short, and when I had updated the list to the latest version, barely any of this year’s releases were able to be chosen. To make things slightly more awkward, several of the entries in the back catalogue had erroneous spelling errors. It is possible to add your own configurations however, so you can correct the mistakes yourself or redefine the controls to suit your style of play. * Tested on wood-veneer desktop. The Fusion Engine is perfect for any type of use, but gamers will see the true benefit. 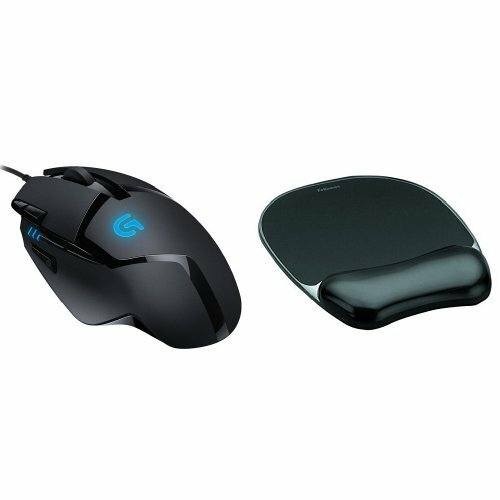 For general day to day use, the G402 cannot be faulted, with no visible lag and will work on any kind of flat surface you can throw its way. The same is true when you play in the gaming environment, which in certain genres can be slightly more demanding. 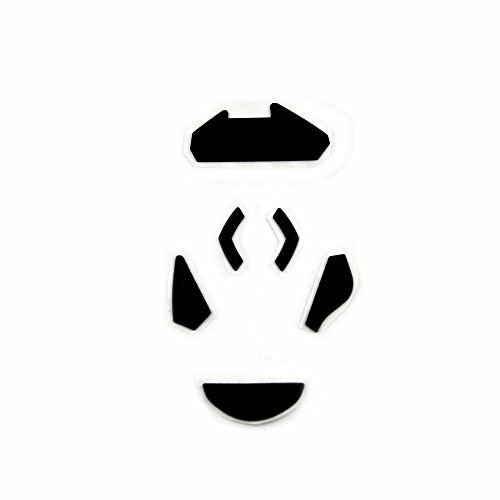 The additional buttons made certain actions much easier to perform, and although it is merely aesthetic, the glowing icon on the top of the mouse gave it a sense of individuality that is a breath of fresh air in today’s cookie cutter design world.